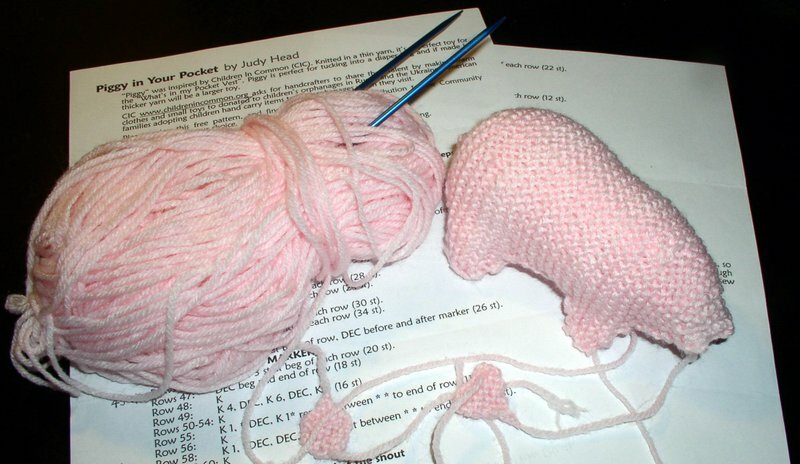 Michelle has been a pattern editor/test knitter for many of the items on Judykits. Not a misplaced comma gets past her, plus she thinks like a Designer. Her kids let me know what toys they like and don't like-- the Crazy Chicken made Becca cry! I'm happy to announce the Piggy in my Pocket pattern is now available at www.judykits.com as a free downloadable pattern. It was designed with Community Knitting in mind, so knitters get your needles and make one for yourself and one for the Community group of your choice.